Just to dispel any concerns as to my dedication or interest toward miniatures, let it be known that despite a lack of evidence toward this fact: I still like to paint. 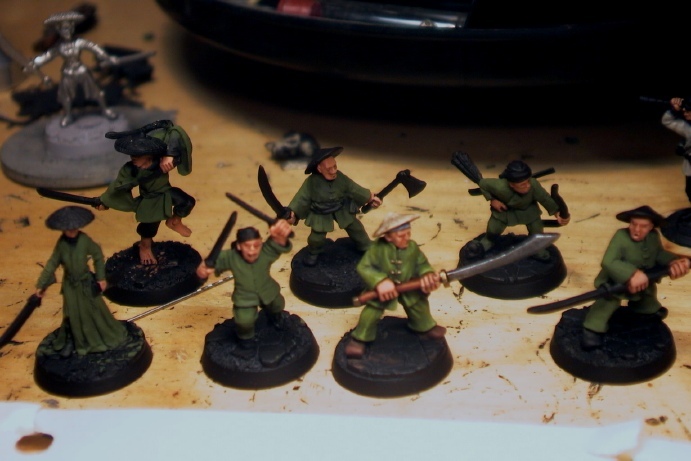 In fact, my gang is getting its green on. For much of April I was battling with some stupid ailments that kept me from sitting at the painting desk for any extended, or even fairly normal, period of time, but I did manage to get a test figure done with all my new green paints, and I quite like him. Now the rest are following suit. 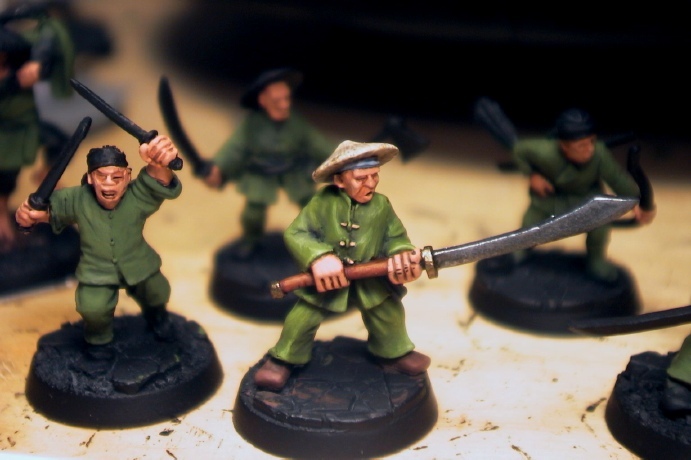 If all goes well, it shouldn't take /too/ much longer before my wuxia warriors are ready to take on skaven and orcs and goblins.